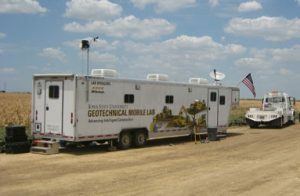 Iowa State University’s Geotechnical Mobile Lab is helping researchers conduct geotechnical engineering-related projects in Iowa and other states. 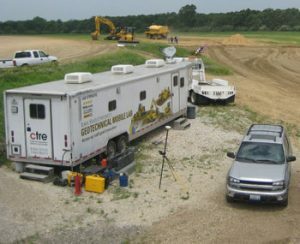 Geotechnical engineering focuses on soil mechanics, earth structures, foundations, and retaining structures. 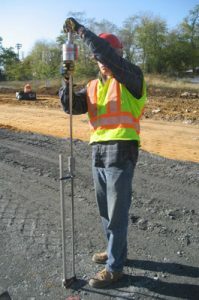 Researchers are defining and prioritizing geotechnical problems and developing and/or implementing applicable technologies, specifications, and/or processes that allow maximum efficiency and creativity on the part of the contractor, use acceptance criteria that ensure responsible use of public funds, and maximize roadway value by increasing the performance life. 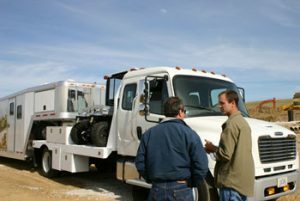 Better understand the engineering properties of soils that relate to performance in highway construction and have a high degree of reliability for agencies and contractors. Improve earthwork construction quality and efficiency through the use of current and emerging construction equipment and intelligent construction technologies. Develop improved laboratory and field-testing technologies and procedures for verification testing. Test and field measure the properties of soils that relate to performance and use this knowledge to develop methods of quality control/quality assurance (QC/QA) for geotechnical applications. 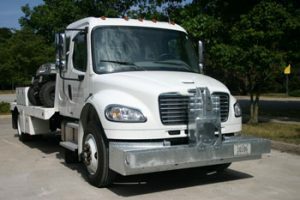 Provide field training opportunities to contractors and public agency personnel. 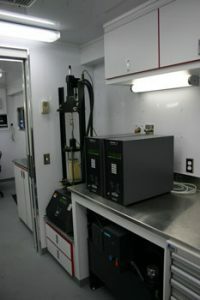 Download a technical brochure about this facility.